The UK based Rockwell Music re-issed their Rockers compilation once more; this time on clear red vinyl. This release is limited to 100 copies. Here is the cover-art for the vinyl re-issue of the classic "Elvis Golden Records" from Disconforme. This re-issue is due April 16, 2016. 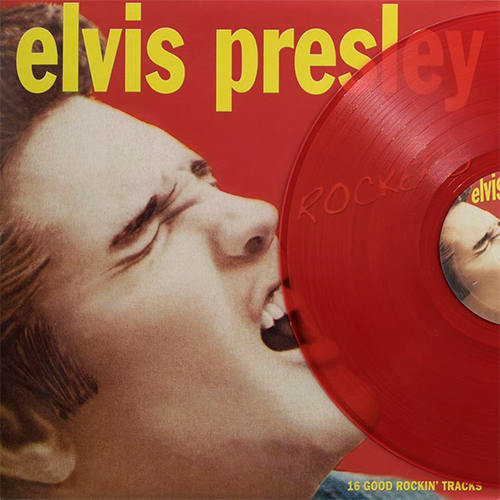 Due for release on March 4, 2016 from the Motivator label is a vinyl re-issue of the "Elvis Is Back" album. This re-issue contains 18 tracks. No rhyme or reason for the first vinyl release; just a hodge lodge of thrown together rockers yto make a quick buck on the vinyl market.